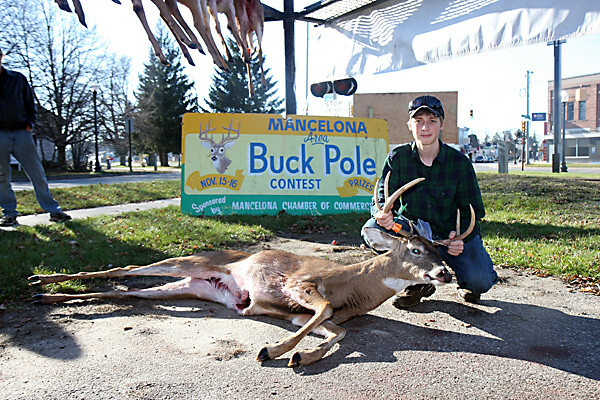 Youth hunter Noah Shumaker, 16, of Bellaire, registers his 131-pound buck at the 61st annual Mancelona Buck Pole contest on opening day. It was the second deer he has harvested since he began hunting. He took the buck in Bellaire.